A collection of recent educational webinars designed to help your medical practice thrive. 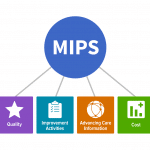 Filing for MIPS & ACI — It’s not too late! Filing for MIPS & ACI -- It's not too late! Keynote Presentation: "Scripps ACO & Epic EHR Updates for Independent Physicians"